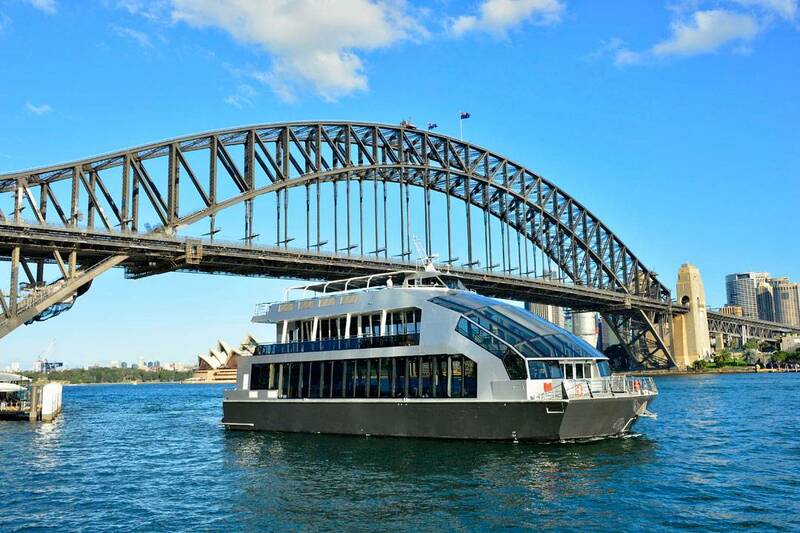 Incat Crowther announced the launch of MV Epicure, a dinner cruise vessel operating on Sydney Harbor. The vessel, built by Aluminium Boats in Queensland, has been delivered to Epicure, a brand of the Spotless Group. Incat Crowther was approached to create a vessel catering to the high-end market. In response to the brief, Incat Crowther developed a heavily glazed vessel focused on a large forward atrium. This arrangement allows guests to board via the foredeck whilst crew operations can take place on the aft end of the vessel, keeping “back-of-house” operations out of sight from “front-of-house” guests. Upon boarding the vessel’s main deck and entering the atrium, guests are greeted by a set of open stairs to the saloon deck, which features an indoor/outdoor cocktail lounge. This area can be opened up to the side decks by sliding partitions. Above this is the Sky Deck, featuring outdoor lounge seats and bar, with a small wheelhouse forward. 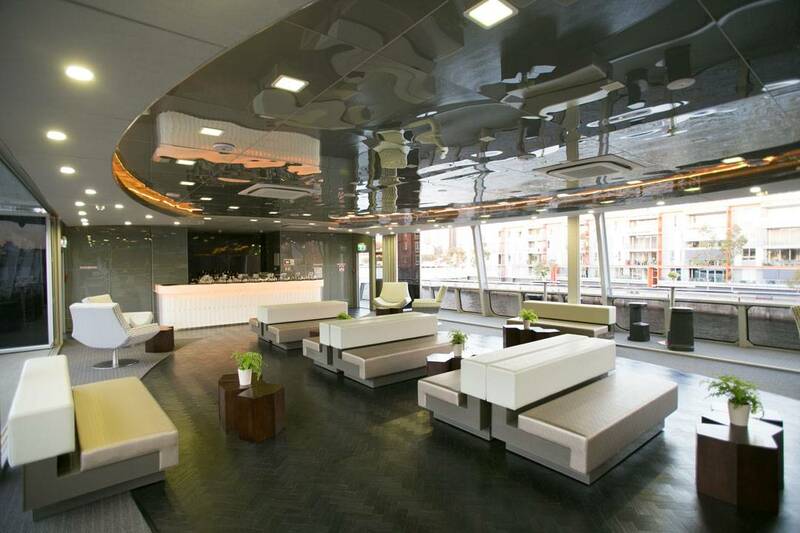 The two upper deck spaces allow the operator to gather guests for refreshments, whilst the main deck dining area is prepared for dining service. The separation between decks also lends itself to corporate events such as product launches. 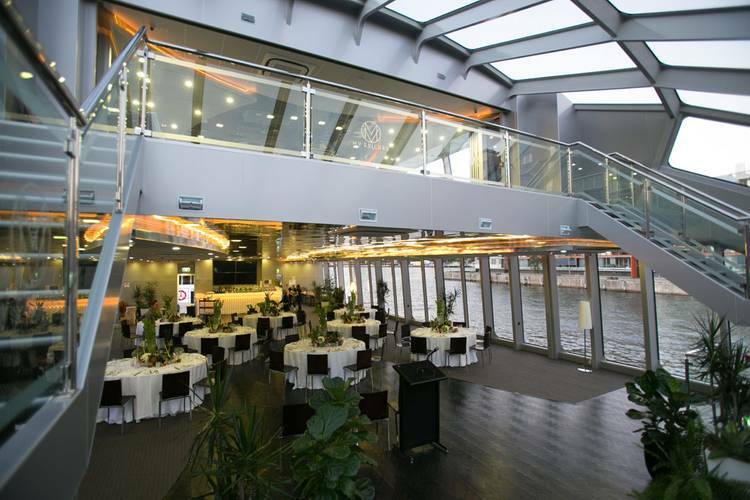 The main deck features floor-to-ceiling glazing, combining with the forward atrium and pillarless design to afford views of Sydney Harbor unparalleled from a dinner cruise vessel. Below decks, there is a full commercial galley with dedicated areas for food preparation, cooking and storage, including a large cool room. At the forward end of the hull are ladies’ and gents’ toilet spaces. Bridal and green rooms are also provided below decks, as well as a crew locker room and bathroom. MV Epicure is powered by a pair of Scania DI13 main engines, each producing a modest 294kw, enough to propel the vessel to cruise speeds up to 10 knots. A pair of Scania DI13 357kVa generators provide electrical power. MV Epicure was developed in a short period of time, designed and built in seven months, with the shipyard implementing new build techniques and a round-the-clock schedule to meet the deadline.